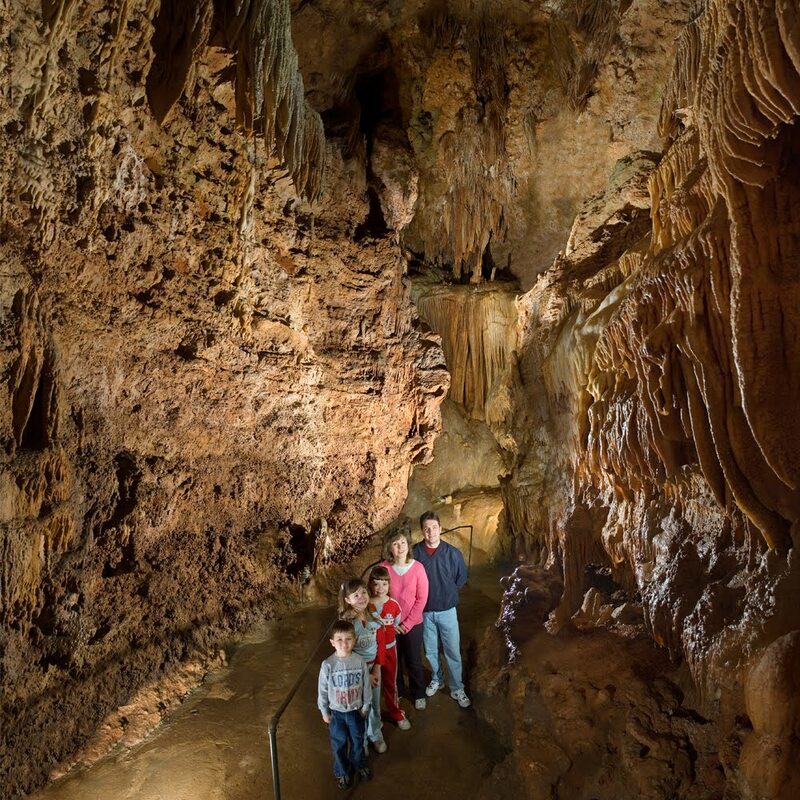 The maintenance department at Thunder Mountain Park has been hard at work completing a year-long project to enhance your view of one of America's most scenic cave tours. Bridal Cave is now the first major show cave in the Midwest to be lit entirely by LED lighting. Finding the right lights.The first step in this major renovation was to test a variety of LED bulbs to find the ones that showed the cave in the best possible light. They had to be tested for physical size, lumens, and most importantly, color temperature. LED's are known for their harsh white light, so the correct temperature of the bulb became a high priority. Dozens of bulbs went through our testing process, and the winner was the 2700 degree LED bulb. These highlight the cave's already vibrant colors in the most flattering way. One of the guides that have been with us for a long time stated, "I have never seen the cave so beautiful! It is like exploring a whole new cave." The annual Renewal of Vows at Bridal Cave is happening this Valentine's Day weekend. On Sunday, February 14, 2016 we will have a an officiant in the cave ready to assist every couple that joins us with saying, "I do" all over again. 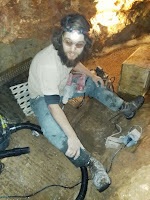 This absolutely free annual event inside the unique stalactite adorned underground wedding chapel of our Lake of the Ozarks attraction is popular, and many couples have enjoyed it so much that they come back to join us every year. "The renewal of vows in February is awesome and a new yearly tradition for us." "We have also made the vow renewal a yearly thing.... the people are SO nice there....we have a great time!! Thanks for doing that every year. 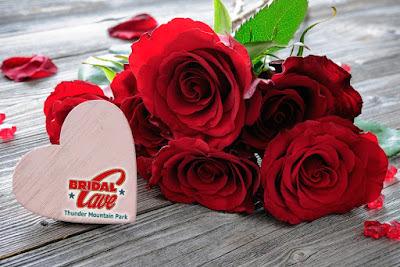 Over 3, 000 couples have exchanged vows at Bridal Cave, and this Valentine's Day we are getting ready to increase that number. The annual Free Wedding Vow Renewals at Bridal Cave happen every February inside of our stalactite adorned underground wedding chapel. Not only do you get to renew your marriage vows at the Lake of the Ozarks, but you will also receive a few great bonus gifts. On Sunday, February 14, 2016 from 9 am - 4 pm, we will have a wedding officiant at the cave to assist our couples in renewing their marriage vows on the most romantic day of the year. There is no charge to participate in this event. Along with this momentous and special opportunity, each couple will receive the following items.